This year’s fresh out of the garden kohlrabi harvest! Kohlrabi is greeted with eager anticipation from some and scrunched up “icky” faces from others! 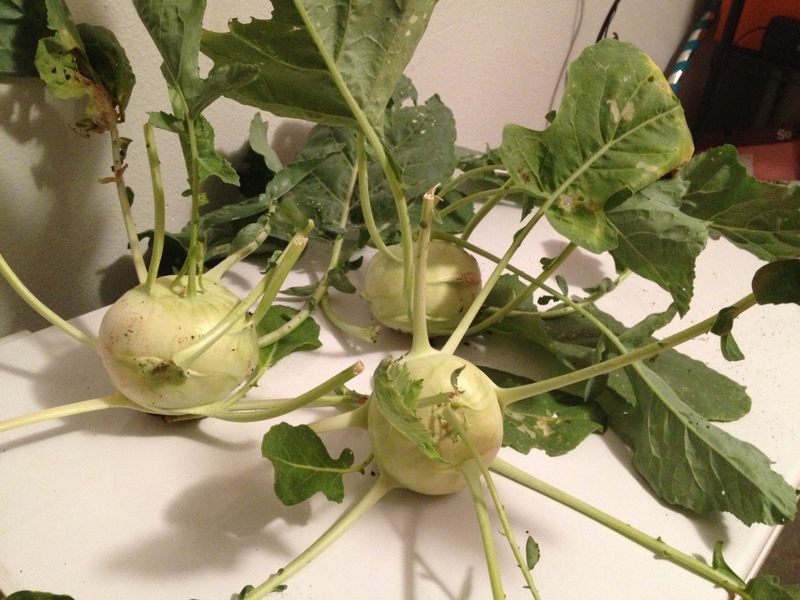 Last night I finally harvested my three kohlrabi plants. After doing some research, I realize I probably should have done it last week. The ideal size for taste is approximately a 2-3 inch diameter. I brought two of the kohlrabi from my garden in to work today and discovered that apparently I am the only person who appreciates this vegetable. My daughter Aurora happened to be in the office for a while this morning and after much cajoling, reluctantly put a tiny piece of kohlrabi in her mouth and started chewing. Looking like a cat about to tarnish the floor with a hairball, she started making gagging noises and heaving her shoulders up and down. Sheree in our office quickly told her to spit it out before we all started following her lead. She did and I’m pretty sure that she won’t be trying kohlrabi again anytime soon, or probably ever. I wanted to learn more about this vegetable that my aunt Nora in Oregon and my Mom & Dad absolutely love but my children run screaming from. And check out the Vegetarians in Paradise newsletter for a GREAT article about kohlrabi, including how to select it, how to prepare it and a great recipe as well! Personally, I think kohlrabi has the texture of a potato and tastes somewhat like a mild radish. I’ve never eaten it cooked, only raw, but I always enjoy it! This entry was posted in gardening and tagged delicious, Garden, Kohlrabi, Vegetable, weird, yucky. Bookmark the permalink. 2 Responses to Ahhh, Kohlrabi! It’s great, Mellissa! (At least I think so.) I’ve never tried it cooked, but some of the ideas from Vegetarians in Paradise sound pretty appetizing! 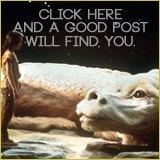 You’ll have to let me know if you try it and what you think!